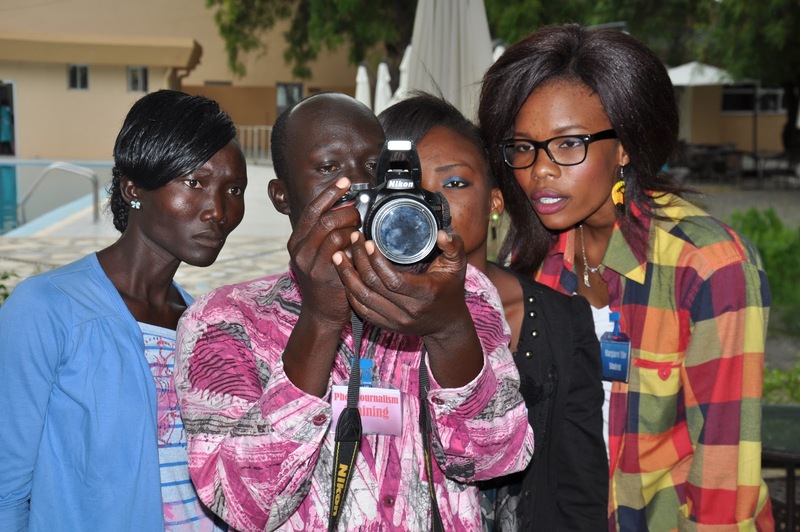 Journalist Stella Poni has urged South Sudan photojournalists to gain professional skills that will enable them to tell South Sudan’s Story through their own eyes. Stella is one of the ten female journalists attending the ongoing two week photojournalism training course in Juba. The photojournalism and conflict sensitive reporting through photography course, is organised by the United Nations Educational Scientific and Cultural Organisation (UNESCO), with the financial support of the Swedish International Development Cooperation Agency (SIDA). Launched on Monday 20th July 2015, the two week training is coordinated by a renowned national photojournalist Peter Gume and brings together ten female and ten male journalists with the objective of building journalists’ skills in photography, through a combination of theoretical training and field practicals. Speaking during the launch, Justin Aleer de Mayen, the undersecretary of the Ministry of Information and Broadcasting underscored the important role journalists play and termed journalism a noble job. Acknowledging the support of UNESCO and other media development partners in promoting the freedom of expression in the media, as well as building journalists’ capacity in South Sudan, the Undersecretary said that where there is freedom of expression, citizens are able to think and make things happen. “Sensitive reporting is also important because it not only affects the lives of the people you report to and on, but affects your career also” Aleer de Mayen advised the photojournalists. While responding to Journalists on the question regarding the delay in establishing the Media Authority, the Undersecretary informed journalists that before the end of 2015, the South Sudan Media Authority will be in place, one of the key roles being to register and accredit national and international journalists, which the Ministry of Information and Broadcasting has been undertaking in the absence of the Media Authority. Echoing the same sentiments on the role of journalists, Elisabeth Hårleman, the Swedish International Development Cooperation Agency (SIDA) Representative in South Sudan, emphasised the important role journalists play in providing information that ordinary people would not have access to. 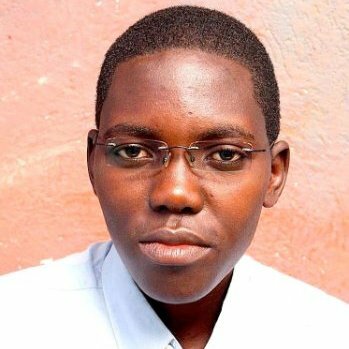 She applauded the 50% representation of women in the training, acknowledging the difficulties experienced in getting female journalists to participate in such training. “The best journalists are those that recognise their role as servants of the people as they have a huge power to influence people” emphasised Ms Hårleman. “UNESCO has walked with the people of South Sudan before and during the current crisis, by building the human and technical capacity of the media training institutions, media personnel and journalists associations” said Ms Lydia Gachungi, the UNESCO Juba Communication and Information specialists. She emphasised that in spite of the current humanitarian crisis in South Sudan, UNESCO, in collaboration with other media development partners, has continued to support the development of the South Sudan media sector, to ensure the current crises does not cripple the communication platforms. Currently, UNESCO is also providing support to the development of the community media sector that is owned and managed by the communities, through establishment of women and youth radio listeners clubs in the counties of Pibor and Awerial with a view to giving voices to the voiceless and marginalised segments of the rural communities. At the end of the first week of this training, the participants have confirmed the skills they have gained will be used to tell the story of South Sudan in a more professional and ethical way. They also indicated that this training would also have an impact on those South Sudan youth who did not have the opportunity to attend this 2-week course. The two weeks of training carried out within the framework of UNESCO’s project on promoting an enabling environment for freedom of expression, a global action with special focus on the Arab region and South Sudan, focuses on six key areas: basic Journalism skills including freedom of expression, history of photography, best practices in digital photojournalism including photo essay development, photography as a profession in a country in conflict (Conflict sensitive reporting), computer skills in editing photos using digital software and Ethics in photojournalism. At the end of this training, the journalists are expected to showcase the skills acquired through a photo exhibition in Juba. This training is also a precursor to a one month regional training on photojournalism, which will take place in Addis Ababa, October 2015. Frpm the twenty South Sudanese Journalists attending the two week training, the best four will be sponsored to attend the advanced training in Addis Ababa.